You don’t need to be an artist to be a valuable part of Portrait Connection! LOOKING TO VOLUNTEER IN BEND? Portrait Connection is a small organization doing big work across the country. If you are not an artist, but want to participate, we can surely use your help as a volunteer in Bend - or anywhere else you may be! We need portrait coordinators, event support, photographers, fundraisers, and more. If you’d like to help, please contact us and we will talk to you about how you can best fit in. Each volunteer enters into a volunteer agreement with Portrait Connection. 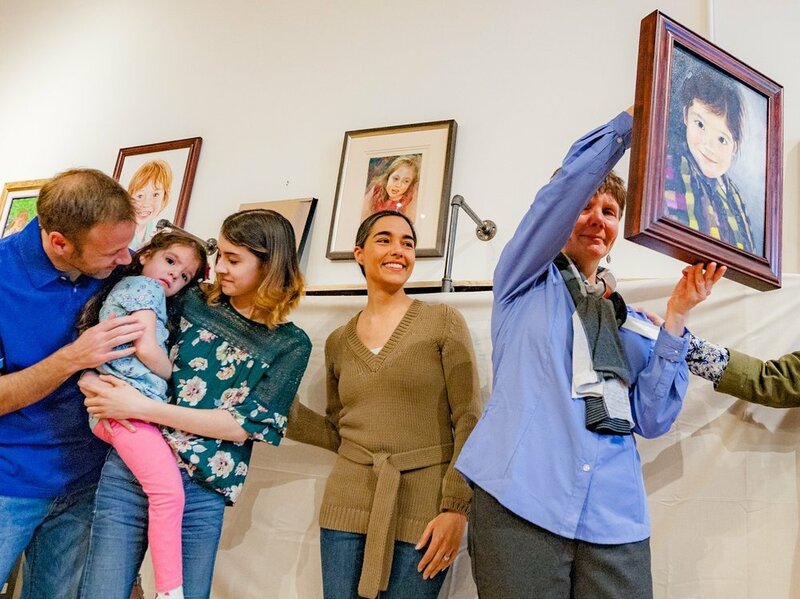 If you want to be a part of the arts AND support neighbors and local families facing medical upheaval, our Portrait Presentation Ceremonies are an opportunity not to be missed. Each one is a place to rediscover THE POWER OF ART and to embrace the humanity of deep emotions reached through giving and the love of neighbors.